So a friend sent me a book the other day after reading my story on going “all in” on myself, and I seriously think it’s about to change my life. I haven’t read a book cover to cover in over 5 years now (is that bad? ), and I’m a little over half way through it already after day #3! 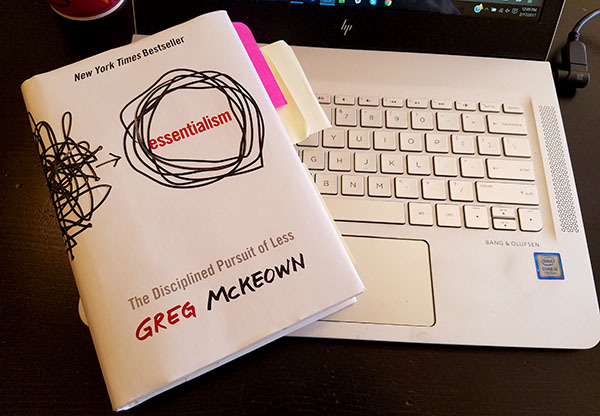 It’s called Essentialism: The disciplined pursuit of less by Greg McKeown, and it’s about taking control of your life and what you care about, and what you don’t, and helping you find a much better way to manage everything that’s important to you like your jobs and passions/family/projects/dreams/etc. HOW GOOD IS THAT??? Take a look at all the things around you right now. Do you love them so much that you’d go out and replace ’em right now if they magically disappeared? How many of them truly brings you joy? I’ve used this question handfuls of time anytime I’m going back and forth with something I want to declutter and keep at the same time. It def. puts things in perspective. This is another GREAT trick to use when you’re trying to figure out if you should buy something or not. How many work days (or hours?) would it take to come up with the money? Does it still seem worth it and exciting to you, or not? This is something I struggle with a lot as I’m a GREAT task do-er, but no so much an “efficiency figure outter.” I could spend 3 hours answering emails or responding to comments which is all fine and well (especially relating to this blog – both of which I do daily! ), but in relation to growing or building up a business or project/career/etc, those hours could have been put to more productive use. The same goes for side hustles as well. If you spend 5 hours and make $100 that’s great, but what if you spent 5 hours and made $1,000 instead? Or spent 5 hours and made $0.00 at first, but every month paid you $20.00 in passive income for the rest of your life? Same amount of time, drastically different results. Y’all probably know this one already as we talk a lot about it in the personal finance world (it’s popularly known as the Pareto Principle), but it means that only a small portion of our work really produces the most gains. And is why you’ll often hear that it’s more important to focus on your housing or car(s) or loans when shaving expenses because those will give you much more bang for your time when focused on than, say, making lunch at home. Both are great and will save you money, but one will produce much bigger results than the other. You’ll also find this in business with finding your core clients that pay you the most, or the opposite where you’re finding the clients that take up 80% of your time but only give you 20% of your business. The principle can be applied all over. There was even a passage on our community’s hero, Warren Buffett! 10 investments!!! Crazy!!! Can you imagine focusing like that in your life/career/finances?? 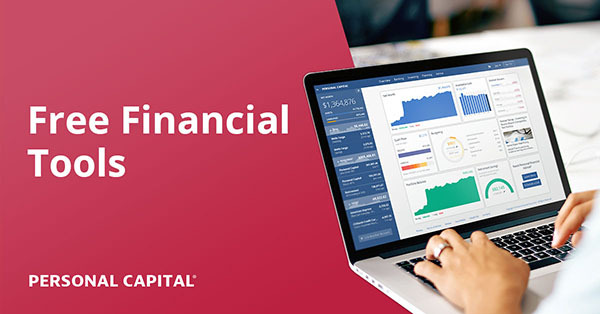 I guess I kinda am myself having all my retirement $$$ in just one index fund (VTSAX), and all my banking accounts under one roof (USAA – why go anywhere else when to me, they’re the best? ), but I’ve always filed it under minimalism than essentialism. Though they kinda go hand in hand, don’t they? You can find it at Amazon for $8.06, or check it out at your library for free!! If I find any more financial correlations in the second half of the book, I’ll come back and share those next. Huge thanks to Michael Kitces for caring enough to send this to me. I wouldn’t have opened it up had you didn’t, man! I’m loving it! Recently I’ve moved over to listening to audio books on OverDrive instead of actually reading them. It allows me to listen to books at work, during my commute, while doing housework/yard work, and a ton of other times when it isn’t convenient to sit down and open up a book. And it’s FREE. However, I have found that I don’t catch as much when I listen to a book vs. actually reading it. So I’ve been using this as a way to screen the books and find out which ones are worth the time to actually read. I need a reminder that 20% produces 80% of the results sometimes I throw myself into too much at my work which still gets me same amount of pay and zero more recognition or appreciation. Ha, Ha. That’s a good one! I might try that with other things. This book sounds great! I’ve heard of it from another PF blogger I follow; it’s probably time for me to read it. I really like that it’s about honing in on what’s most important to you. Because there is a lot of productivity or lifestyle advice out there that leaves me feeling overwhelmed, like I could never focus on all the things they’re talking about. Exactly! And same with blogging with so many people coming out with cool ideas and projects and all sorts of goodies. Essentialism is essential reading! It is one of the best books I have ever read! I have recommended it over and over. It’s easy to read and packed with great info and insight. For those who haven’t read it, make the time; you won’t regret that investment! This book is so fabulous that I’ve read it more than once! Everyone should read it. I know that I’ve stopped spending my time on a lot of minutia because of my takeaways from this book. I read, The One Thing a couple months ago, and loved it so a few people recommend this one. My general rule, if three people recommend a book I read it. :) And you would be number 3. Yes, The One Thing – also a must read! I may need to read this book as it sounds similar to my philosophy. That’s saying something as I tend to err on the side of business stories rather then self help. Oh believe me – it’s very much business oriented! Mrs. RB40 would enjoy this book. We have been paring down for years, but we still have a ton of craps. The next time we move, we’ll give away and throw out a bunch of stuff. I’ll put it on my reading list. So you’ll be sleeping on the streets at FinCon? Uh yes, I’ve been promoting this book for months since I randomly picked up a copy at the bookstore and like you couldn’t put it down (and like you have a hard time finishing books). It’s a life-changing book. One that you read and re-read and re-read again to nail down the lessons. The 20-80 rule has had a huge impact on me both personally and professionally. Helps me focus on activities that are most important. The last point about getting the right things done is great too. It’s effectiveness vs efficiency. You can be really efficient at checking your email but is that an effective use of time? I think a lot of people confuse being efficient with being effective. Realizing this has really helped me focus on putting efforts towards truly important tasks. Thanks for the recommendation. I enjoy the ideas and principles of minimalism, but I think essentialism resonates with me more. It is not a certain amount of stuff – it’s just paring everything down to what’s essential. That amount could vary for different people. Can’t wait to read it! I’ve always tried to keep things minimal when it comes to having smartphone apps, for example. So maybe this practice can apply to other areas of life, like relationships and finances. Will look for it at my local library, and if i’ts not there maybe pony up a few $2 bills for it. We just watched the Minimalists so we have this sort of stuff on the brain. As we’re packing up stuff for the move, we’re really trying to get rid of anything we don’t really love. I read that book awhile ago and really enjoyed it also. It is a reminder that decluttering and minimalism, isn’t just for stuff. another part i liked in the book talks about setting aside 2 hours a day just to think and strategize about the bigger picture. 2 hours is damn hard to do, but been trying in 30-60 min spurts and it’s already helping me take actions quicker :) and more importantly – on things that actually matter vs busy work! “Working is important. But more effort does not necessarily yield more results” – THIS! I need this. This is the second recommendation for this book I’ve seen in a week. Which means, I must get it! I recently read “The five secrets you must discover before you die” and this seems like a great follow up. Thanks for the great review. yeah! we recently reviewed that book on Rockstar Finance – good one! Sounds like a great book! Did they happen to mention what the right things to do are? Oooh, I’ve never heard of essentialism before. Thanks for featuring it. So I guess the difference between essentialism and minimalism is that minimalism might be more extreme in the decluttering spectrum? It sounds like essentialism is all about doing what’s right and essential for you. it depends on your definition of minimalism, but yeah – essentialism seems to span many more areas in life than minimalism, though very closely connected. Super keen on reading this J , you have peaked my curiosity highly on this book. Sounds like an awesome mix of great topics. Although you strike me as someone who’s already doing a lot of this stuff? Sounds like my type of book. I like the use of highlighters and sticky notes for daily/weekly reminders. Will check this one out. Sounds like a great read, I’ll have to grab it from the library! The idea of thinking how much you would now pay for something you own is so great, I need to go around my house and do that ASAP. I don’t think I’d ever be able to go full-on minimalist but there is certainly some de-cluttering to be done in my life…baby steps. Kinda of a like the parallel to focusing on ONE website versus those focusing on multiple niche sites. It is so much better one website and go for glory! This is really fascinating. I love the idea of really focusing on what matters. I’ve never really put a lot of effort into really trying to determine what is essential versus what is not but I need to make an effort to do just that. I’ve also heard of the Pareto Principle under another name: The 80/20 Rule and it’s absolutely true. The flip side of that is to try and spend 80% of your time on the 20% that matters. If you can successfully do that than you’ve really maximized your efforts. Essentialism is interesting in all its forms (I’ve been an admirer of it as a philosophy as well) but when applied as a life principle it is fascinating. And great for your purse and quality of life. (As to the book, it is probably one of the best things written about applying essentialism to everyday life). BOOM! Let me know how you like it! 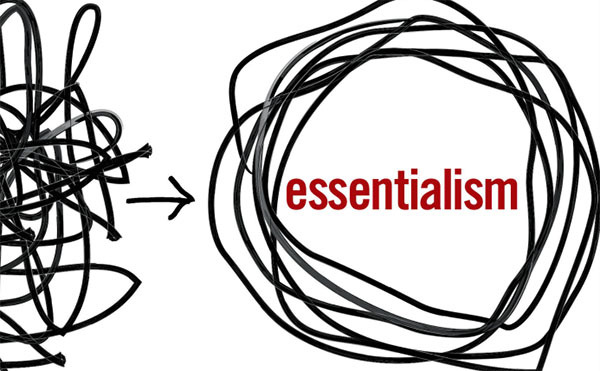 “Essentialism isn’t about getting more done in less time. It’s about getting only the right things done”. Why read the book? That sentence gives me more to think about than there are hours in the day. Sounds powerful. Congrats on reading, with post it notes! it really is a repetition of that said in many different ways throughout the whole book :) Not unlike our money blogs – hah! nice! what do you think? Only Half way through. I’m beginning to rethink my company growth strategy. Hey, I finished this post in only 1 cigarette, that’s pretty good! ;) Love this, J$, I’ve been thinking about a few of these principles, time to put some into action! Sounds like a great book, J! I’ve enjoyed reading about minimalism lately and have found use folding in some of those ideas into my life. Plus, I’m a big fan of working harder AND also working smarter, finding ways to be efficient with my time and drive the greatest outcomes. Sounds like this book is right up my ally! Thanks. Essentialism is a great book! I read it a couple of years ago and loved it. There’s a great graphic that shows the difference between devoting all your energy to one goal and splitting it up among many efforts. It really made me examine my priorities and learn to say “no” to things. Previous post: Why Work So Hard Building a Fortune and Not Protect It?